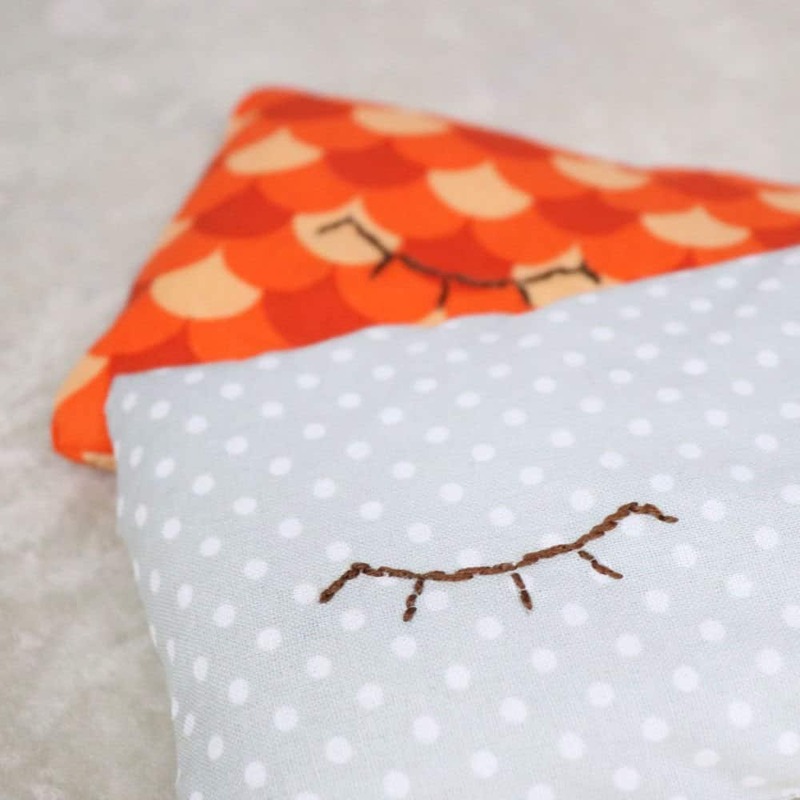 A soothing rice filled eye pillow is a wonderful item to have around the house. They can be used warm or cold to soothe tired eyes or help calm a headache. I’m showing you how to sew a rice filled eye pillow in this video, and how to make it extra cute with some simple embroidery. Follow Creative Ramblings on YouTube for more simple inspiring projects. This post contains affiliate links, view my full disclosure policy here. I made this eye pillow using the same technique that I used for these lavender sachets. These are small square sachets filled with lavender scented rice that I keep in my linen closet and even my gym bag to keep them smelling fresh. Start by cutting an 8 inch square of pretty fabric, I used thin cotton but just about any fabric will work. Before sewing the eye pillow, I added some simple embroidery to one side. Fold the fabric in half and using a pencil and ruler draw out a set of eyelashes. Then stretch the fabric in a small hoop and pull it taut. I used a satin brown thread and a basic stitch to embroider these eyelashes. 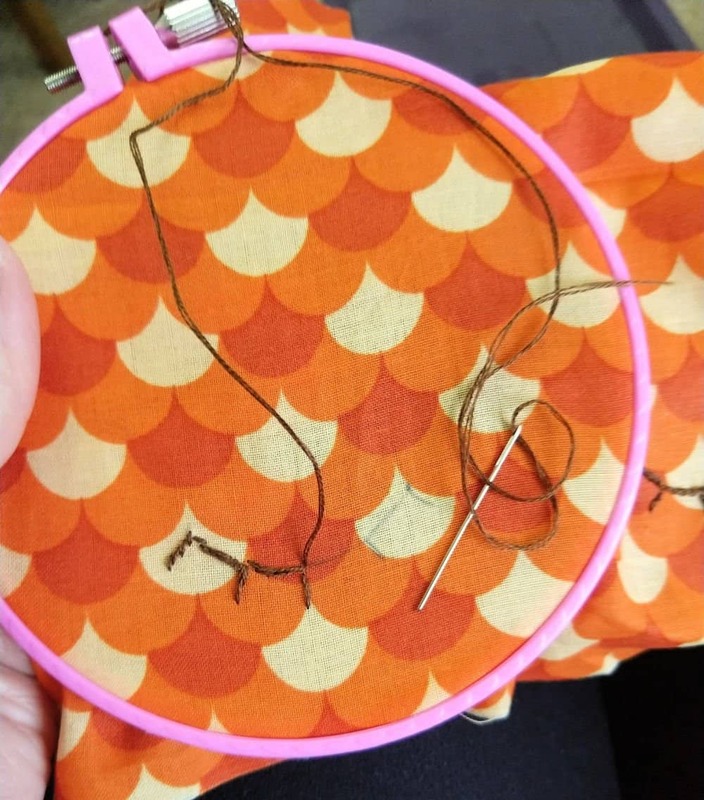 I’m am a novice at this, but using a simple stitch and pattern helped me hone my skill. Maybe I’ll try something a little more difficult next time. Once the embroidery is done it’s time to sew the eye pillow. Fold the fabric in half so the right sides, the side with your eyelashes on it, are facing in. 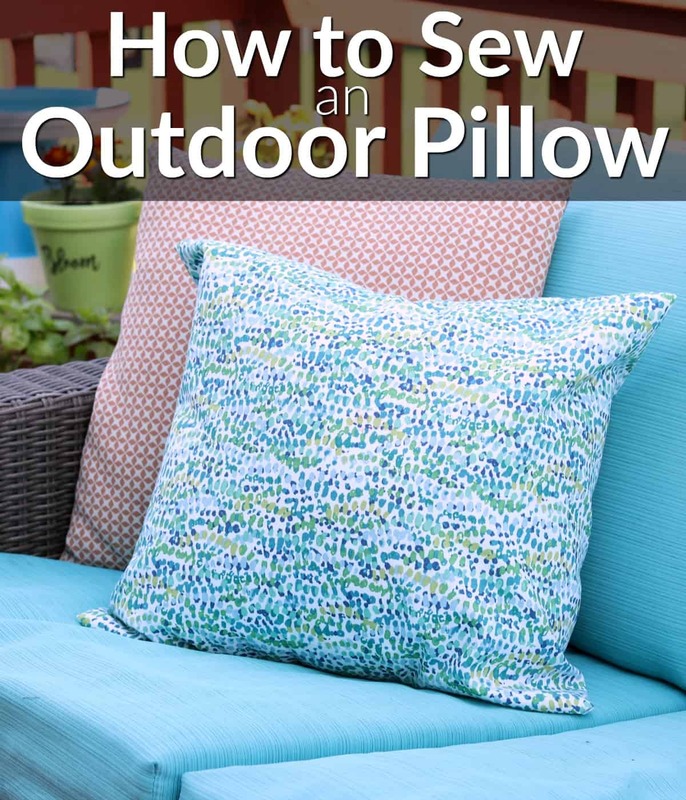 Sew around the outer edge leaving a gap in one end so the eye pillow can be filled. Turn the fabric right side out and fill it with rice. You should be able to move the rice around, I filled my eye pillows around 3/4 of the way full. 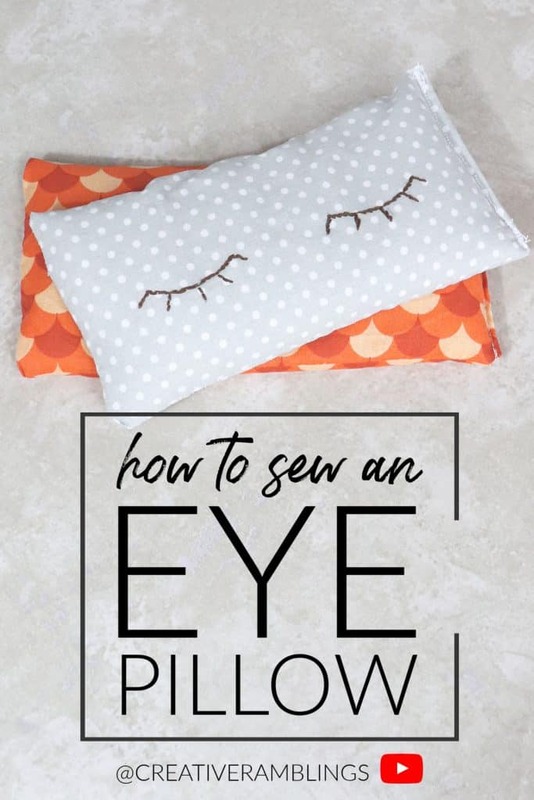 Then stitch the gap closed and your eye pillow is complete! Filling these eye pillows with rice allows you to use them warm or cold. 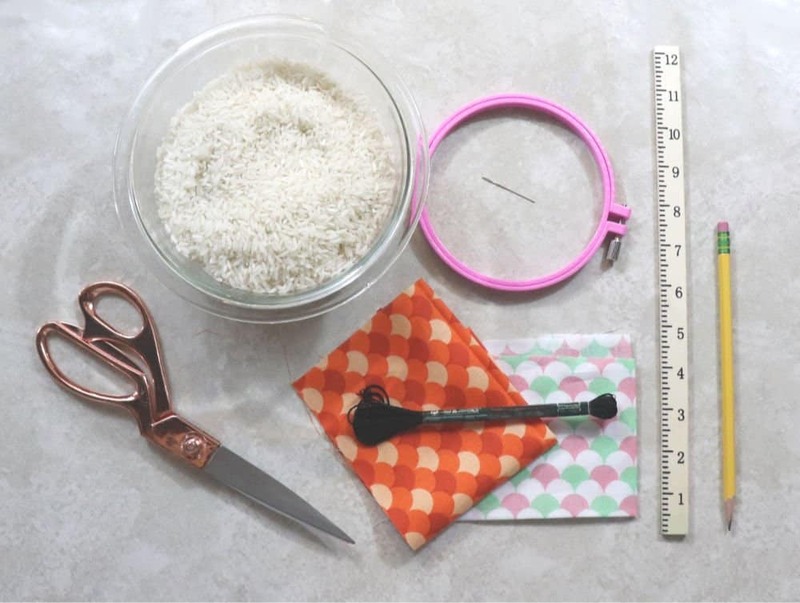 To use a rice filled eye pillow warm, place it in the microwave for 30 seconds, remove the pillow and shake the rice around a bit. Microwave at 30 second intervals until you reach a comfortable temperature. I typically heat for 1 minute total. To use this eye pillow cold, pop it in the freezer for a few hours. The rice will not freeze solid, instead it cools down nicely and provides soothing relief that’s still soft and flexible. If you like this project be sure to pin it! 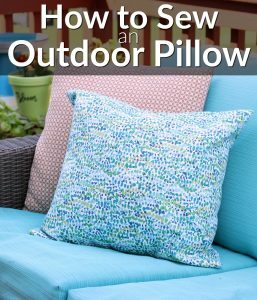 Make one of these pillows for yourself, and while you are at it make a few extra. 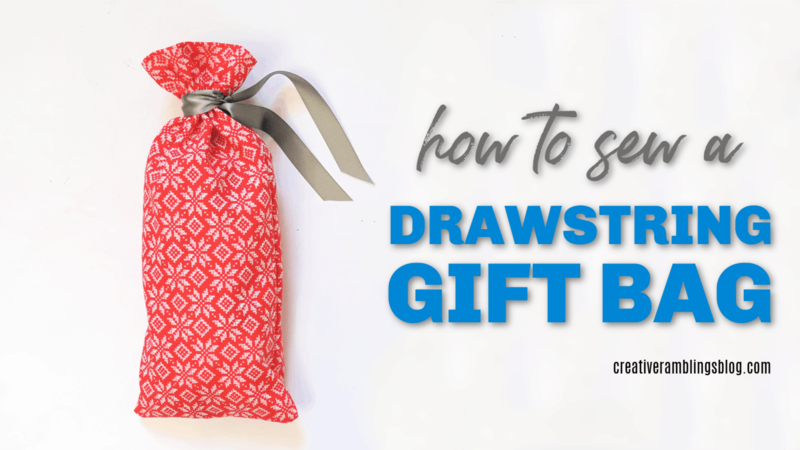 They make excellent gifts, and are the perfect addition to any care package.